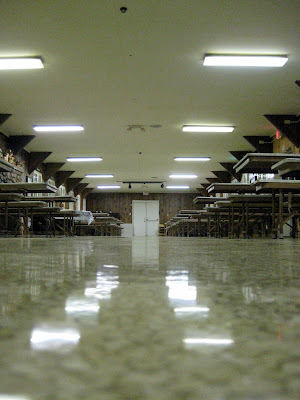 Camp Wawona’s cafeteria got a little brighter as camp staff stripped and refinished the kitchen and dining room floors with a high gloss wax. 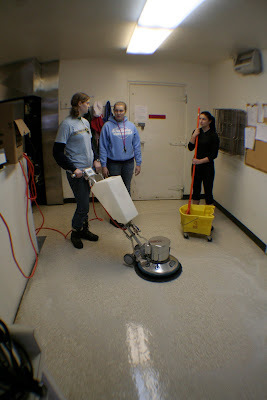 The process, which involved relocating anything not permanently installed and then applying a three-step refinishing system, took several days but paid off in the end with a like-new glossy shine. 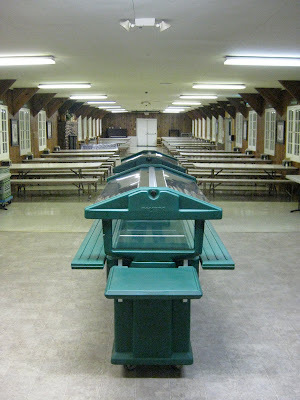 To protect the newly finished floors in the dining room, staff removed the old feet from the benches and installed new felt tips so each bench can easily and safely slide, protecting the floor and making it easier for visitors to sit at the tables. 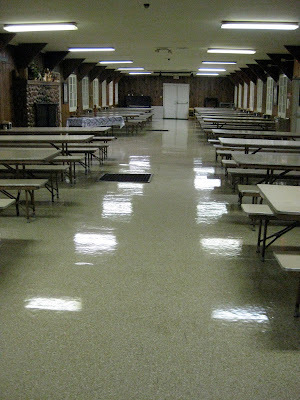 Staff finished re-organizing the cafeteria just in time for the Tri-Campus Retreat – the first user group of 2010! Pictures of the refinishing process and bench sliders are below. Dining room floor before refinishing. more items are moved from the kitchen into the serving area. 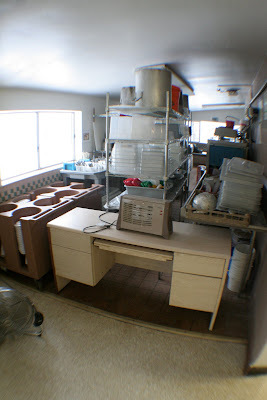 The dish room holds anything not nailed down in the kitchen. The girls take turns using the buffer. 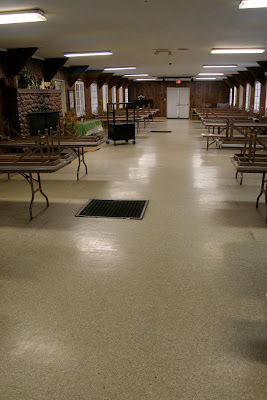 The serving area and dining room post refinishing. Dining room floor shines like new! New felt-tipped sliders help the benches slide without damaging the floor. i would eat off that floor. i could put make-up on looking into that floor.